in last time comes more whdloadgames with MT-32 support. Must i always change the option in IO Port - OUT to "MT-32 Synth Emulator" manualy in WinUAE or is there an option to set the IO Port to MT-32 in GameBase to say this WinUAE. Then starts WinUAE with MT-32 option and run the game. in GameBase - WHDLoad "GEMUS-Fields" under "Set GEMUS Script Fields" in "Keys and Values" and also in GameBase - Edit - GEMUS "key=value" pairs... for this game in "Edit Current Game Only"
if those mt32 values are correct? just add these line to the top of the script. change this to your winaue config name and path, if different. The values should be correct. I have it change in WinUAE and save as config. The other things i will test tomorrow. Works not on the top of the script. I must it insert in the WHDLoad-Section and there i use "WHDLoad.uae" not "Amiga.uae". what change in audio quality this MT32 comprated to Paula? 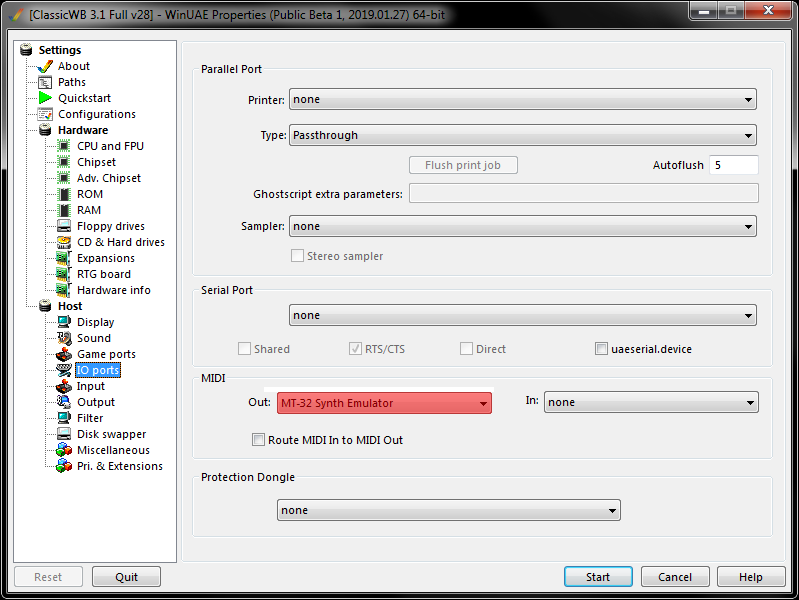 But i not understand if you can use MT32 directly in AmigaOS or it is the output in WinUAE sound option. I use it in WinUAE. I dont have an Amiga.... only Win10-PC. If using WinUAE it's a tad easier. Then all you have to do is enable MT-32 MIDI out in WinUAE and you're good to go.